MovingPros is New Zealand's leading Moving Company comparison site. We make it quick & easy for people moving to find a trusted Moving Company to help them move. 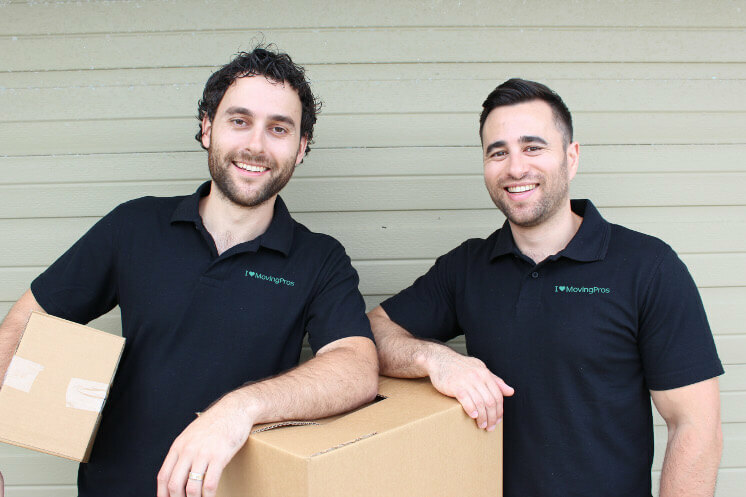 MovingPros was started by brothers and besties Cam and Nate Whitaker. They are experienced digital marketers and serial entrepreneurs who also run the successful search marketing agency eMagic. Their plan, to help moving customers all across New Zealand find and connect with professional moving companies they can trust. With both having moved several times in recent years due to growing families they understand the stressful and painstaking process of moving house! During his last move Nate found the process of trying of get multiple quotes to compare movers extremely difficult and cumbersome. Searching online and wading through countless websites was overwhelming. Then having to submit the same information over and over again was frustrating and a huge time waster. To top it off Nate ended up booking a local company that severely underestimated the price and had his computer broken in the process. After a rant to Cam about his experience both saw the need for a quick and easy comparison solution and the idea for MovingPros was born. Over the years we have helped a number of established moving companies improve their online visibility through eMagic. We continued to hear the same story being told by frustrated movers. About the lack of transparency within the online moving industry and the businesses succeeding online weren't always the most deserving or trustworthy. MovingPros is a way to help level the playing field by including customer reviews and ratings on movers profiles. This ensures customers have a great moving experience and the most deserving movers are rewarded.